Last year, I hit a big milestone birthday and as many often do with an important birthday, it makes you reevaluate your life. For me, it has really hit me how fast life is speeding by – I just want it to slow way down so I can treasure every moment with my family. I also want the moments in my life to be filled with meaning, so that I don’t look back on life and have regrets that I worked too hard or worried too much about my endless to-do list, but instead savored the moments with my family & friends & focused on deepening the relationships in my life. When my kids were little & I was deep in the trenches of sleepless nights, tantrums, and endless diaper changes, I was in survival mode & just not able to fully appreciate all those moments together. During that time, I also started working from home, with starting this blog when my girls were babies, as a way to share the journey our family was on to become debt-free & to help other families achieve their financial goals. But, now that my girls are both in school full time, it makes me really value the time I spend with my family even more. It’s also important to my husband and I that we teach our girls to give generously to others and to do that together as a family. We left the comfort of a church we have been a part of for years and instead have spent the last year in a new church plant in the heart of the city. We felt God was calling us to this opportunity as a way to give more of our time to families that are struggling and to teach our kids to love others & give back to others. With wanting to focus more of our time on making lasting memories as a family & giving back to others, we have tried to evaluate how we can simplify our busy lives. Let’s face it, we all lead very busy lives, so it’s about finding any moments of time you can simplify. This is definitely still a work in progress for us, but here are a few things we are trying to do in my family to live more intentionally. This has been one that is toughest for me, but I am sharing it first as I think it is critical to be well rested if you want to simplify your busy life. There is a lot to get done during the day, which makes many of us want to stay up late to have that quiet time to get things done uninterrupted; however, I have found that I am so much less productive at night. Since I can’t sleep in any later on weekdays, I need to go to bed earlier so I can have more energy to get things done more effectively the next day. I think this also applies to taking “down times”, whether it’s on the weekend or whenever you have some free time & using that opportunity to rest – take a nap, read a book, listen to music, pray – whatever you need to feel more rested at the end of your week. In the past, I never felt I had time for “down time” in our busy schedules, but I’m realizing that I need that time to be more efficient with the rest of my time. Now I am not a morning person – at all – but even I have realized that it is so important to have time to yourself in the mornings before your kids or spouse wake up. It just makes you ready to start the day if you’re not waking up at the same time as your kids. For me, I have found I have a much better morning when I start my morning spending time with God first. I found the First 5 App, which is an app with an alarm to wake you up at the time you choose & help you start your first 5 minutes of the day with God through a short devotional. Instead of getting on Facebook or email & filling my mind with the busyness of life right from the start, this has helped me start my day in a calmer way. Whether it be getting up early to get some things checked off your to-do list, exercising, taking your time getting ready with a long shower – whatever helps you to feel more relaxed at the beginning of the day is so important to a more productive day. One of the best ways to simplify a busy life, is to work together as a team with your spouse, kids, friends or family. My husband and I have found that we have more time for fun family outings when we work together as a team on household chores & meals throughout the week. Not only that, we also enlist our kids to do daily & weekly age-appropriate chores as part of their responsibility as a family member (check out our free printable Responsibility chore chart for ideas of how we make this work). The bonus of getting your kids involved is that it also can teach them how to be responsible with money if you pay them for some of the chores, too. One way that my husband and I have found to stay organized and on top of the things that need to get done around the house is thru the Wunderlist app. This is a list-making app that allows you to share your lists with other people – whether it be a grocery list, to-do list for projects around the house, or list of fun family outings you want to go on. If I know my husband’s stopping at the grocery store on his way home, I will add items to the list & it will pop up while he’s in the store. It’s so much easier than trying to remember a piece of paper (that always gets lost) or texting a list because this is just the set place we always put our lists to keep it all in one place. I think it’s so important for anyone to get away from the stresses of life & the endless to-do list & the best way to do that is to get outside in the fresh air & get some exercise. Go for a walk or a bike ride with your kids, spouse or friend for just an hour or spend the whole afternoon. Try a new sport as a way to unwind from the busyness of life. I hadn’t ridden a bike since I was a kid until we went bike riding last May on vacation. We had such a great time riding bikes together that this is something I want to continue that I would have never pictured myself doing. We have made it a goal for the last 2 years to do a family hike at least once a month. We don’t always make it every month, but it has really helped us to try to get out more & explore different areas around the NW & making lots of memories. 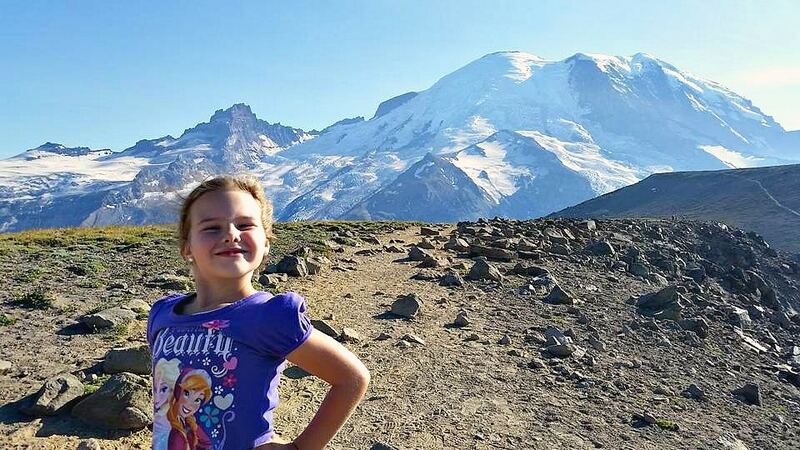 Last summer, we went hiking up at Sunrise at Mt Rainier & ended up doing a 5 mile hike up some steep trails around Burroughs Mountain. My girls were so excited that they hiked to the top of a mountain & it gave them such a sense of accomplishment. Plus, it showed them that exercise can be fun when we do it together as a family. These are just a few of the ways that we have been trying to be more intentional with our time & spend more time together as a family, making the memories that will last. Any time that you can simplify your life is so important to do so that you can spend time on what matters most to you. If you’re looking for ways to simplify your life with all the endless tasks that can fill up our days, ECCU is a Christ-centered credit union which has been in business for over 50 years and they are working hard to make your life easier & simpler thru the tools they have developed. This is so that their customers can find ways to spend less time banking and more time on the things that matter the most in their lives. Every second counts when we’re trying to ditch the busyness of our lives & be more intentional about our time. ECCU has a new mobile banking app for busy families, which helps you accomplish all of your banking needs in less time. You don’t have to wait in long lines at the bank or ATM, but instead use their mobile banking app to pay bills, deposit checks, find ATM’s and transfer money between accounts in just seconds. You can bank from anywhere such as the pickup line at school, waiting for kids’ sports to be finished or waiting for a doctor appointment, using those extra minutes of time in your schedule wisely with the mobile banking app. ECCU members also can access their accounts at more than 5,000 shared branches nationwide and 30,000 surcharge-free ATMs in the US. And worldwide, members can access millions of ATMs in more than 100 countries. So, this makes it very convenient to use if you do need to use a banking location. ECCU is a member-owned financial cooperative that uses member deposits to fuel Christ-centered ministry around the world and invests profits back into social causes. Since 2005, ECCU has awarded $4.58 million in grants to ministries. With ECCU, your money does more than earn a good interest rate for you. It helps fuel Christ-centered ministry worldwide by providing loans to churches and low-cost banking services to missionaries and Christian organizations. 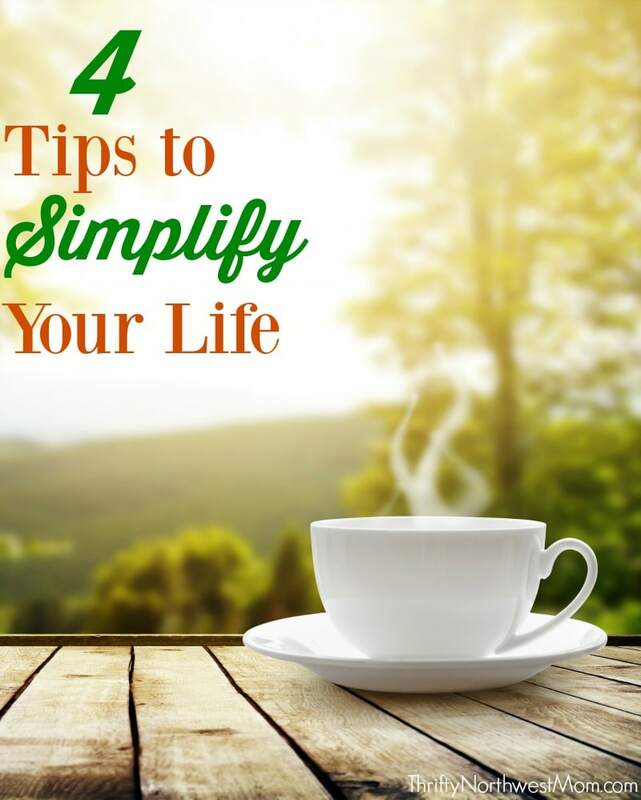 How have you been able to ditch the busyness & work on simplifying your life? Disclosure: This post is sponsored by ECCU. All opinions and content are our my own and were not provided by the company. See our disclosure policy for more details.